I went to meet up with a random bunch of women that I had never met before and knew essentially very little about. Now this is maybe no biggy to some but for me this was Quite.A.Big.Deal. This was not anything work related, a conference or an event but a bunch of ladies who all met through an online group during the course of planning their weddings. 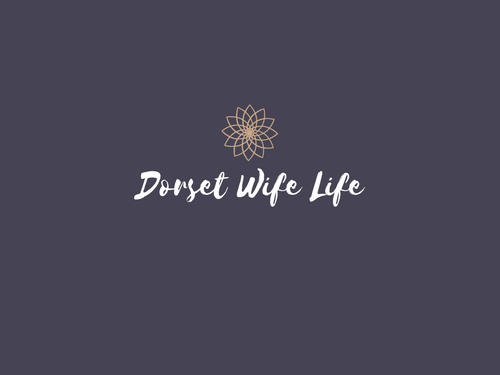 A little community of brides to be sharing advice on all things wedding related and much more. Because lets face it, as anyone planning a wedding knows, it may be your sole focus at that time but friends and family can get a little bit bored of hearing about your current flower crisis or why the vicar won’t let you walk down the aisle to certain music (because you are the bloody bride and that is why the vicar should let you). Now I genuinely have no idea how often this sort of stuff happens in real and everyday life because I’ve only ever been part of this one online group and to be honest I’m perfectly happy with that. As our weddings all came and went it felt odd to just suddenly bow out of the group and never communicate with this group of women again. You feel like you know them in some small strange way, you’ve shared and they’ve shared and it became more than just where did you get your invites from or does this colour work? It was a safe place to ask questions, to share sensitive issues, ask for advice or reassurance, with no subject off limits so to speak and more importantly no judgement. Women from all walks of life, varying ages, lifestyles etc, but all connecting by the power of the internet. Fortunately a separate group was formed for life after the wedding. A kind of what happens now group. Whether that was starting a family, careers, house buying and interiors, travelling etc. Essentially if you have a question about anything you can ask it. But we have our real life friends for all that don’t we? Of course and I absolutely 1000% value my real life friends with all my heart. They’ve seen me through the best and worst times, with their unconditional support and ultimately you know hands down they’ll always have your back. Friendships like that can be like gold dust and not always easy to maintain. After all, people can change. Their outlook changes and with such their priorities can shift. Like most women we make our friendships from all areas of our lives. The long-term school friend that has seen you through your first spot, exams and boyfriends. The school run mum who you start vaguely chatting too in the playground and discover a mutual bond with, the friends of friends, your husbands’ friend’s wives/partners, work colleagues who become so much more than just someone you chat to whilst making the coffee. So in some weird way I kind of felt like I was doing something behind their backs. I hadn’t mentioned to anyone really what I was up to this weekend. I don’t think it was embarrassment, more just a difficult thing to explain. Oh I’m off to meet some women I occasionally, when I have time, share comments with on the internet. I thought they might think I was a little batpoo crazy…………. And how did it go? It was a little strange, but in a good way strange. As someone who has never shaken off those teenage insecurities of “but what if they don’t like me” feelings it could have been a little daunting, intimidating even. But it genuinely wasn’t like that at all. We asked all the questions you’d normally ask someone you only just met and discussed everything and anything and interestingly were all in agreement that this was a slightly odd way of meeting and trying to explain it to friends and family was something we all found a little tricky. A small group of women of varying ages, job descriptions, backgrounds all supporting each other and essentially coming together because of one thing. Getting married. So is this a very modern way of making friends now? To have these people in your phone or computer that you’ve never set eyes on in the flesh, yet you already know some of their innermost thoughts, insecurities, what they had for tea, what they do every Tuesday. Who knows? Does it even matter? Friendships are invaluable, in whatever form they arrive….. Previous What I’ve learned about blogging in two weeks…..